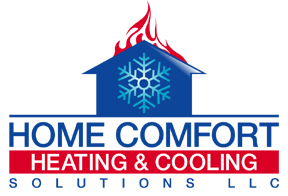 Home Comfort Heating & Cooling Solutions LLC provides heating services for all of Hamden. We install and repair all types of heating systems in residential and small commercial buildings. We do all the work ourselves from evaluation through installation and testing. We have HVAC technicians who have installed and repaired oil furnaces, gas furnaces, and electric furnaces. We also service heat pumps, geothermals, and boilers. We can convert one type of heating system to another. We believe in energy efficiency and will advise a customer when it's time to get replacement windows, insulation or other products to hold more heat inside all winter. We are the company you can trust for routine maintenance services on a furnace or other heating system in your Hamden property. You can save money by getting an annual inspection. Sometimes all you need is a new filter or thermostat. We want everyone to stay comfortable and warm when the winter comes. Join our Hamden CT Home Comfort family by calling us today at 203-290-1005 or send us a message.